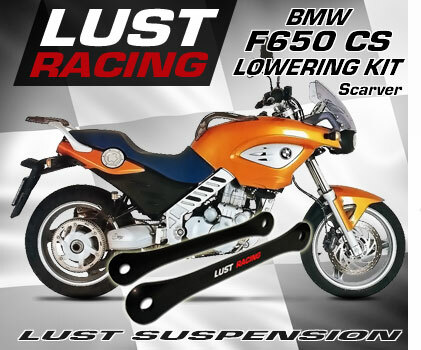 Lowering kit for BMW F650CS Scarver by Lust Racing. This lowering kit reduces the seat and ride height of the BMW F650 SC Scarver by lowering the rear suspension. Will fit F650CS models year 2000 to 2006.